It is only the size of a matchbox and does not block the line of sight. It can shoot 1440p video, 3.7 million pixel still photos, and can be shot clearly in low brightness. It includes a variety of driving assistance functions such as front car distance warning, lane departure warning, and speed limit camera prompt. Built-in GPS and automatic accident detection to automatically save accident images and when and where the accident occurred. Voice voice control allows you to save images, take photos, turn on/off Travelapse journey recordings, and more. You can control your device in language so your hands can grip the steering wheel at all times. Say “OK Garmin” to enable voice voice control, then you can save videos, take photos, turn on/by “Archive”, “Photo”, “Mute”, “Journey Recording”, “Radio”, “Stop” and other commands. Close the Travelapse journey video and more. 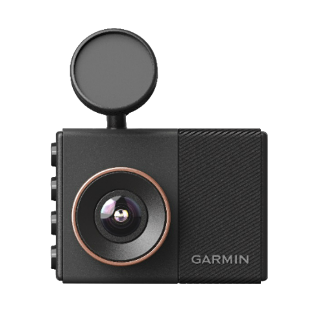 The GDR E560 features a high-quality driving recorder with a 2-inch display and a wide-angle lens to record real-time images during driving.Built-in GPS, when recording driving images, will record the trajectory and time of the driving. It can shoot 1440P HD quality video, which is also clearly visible in low light conditions. 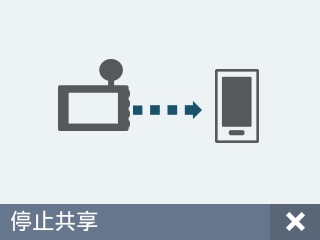 Including the loop recording function, the video will be recorded continuously without interruption. You can also expand your device's memory by using a larger capacity SD card (requires 10 or higher speed memory cards, up to 64G). You can watch the video directly on your device or through your computer. The GDR E560 automatically turns on when the power is turned on, automatically turns off when the power is turned off, and automatically saves the image when an accident is detected. No need to worry about forgetting to turn the device on or off. When recording your driving images, the GDR E560 records your driving trajectory at the same time. When you view the corresponding clip on your computer, your driving track, driving time, date, and speed will be displayed at the same time. With the built-in G-Sensor sensor, the GDR E560 automatically detects accidents and automatically saves images before and after the accident. All data will be saved on the SD card (requires 10 or higher speed memory cards). You can take the GDR E560 out of the car and take still photos to record details of the damage such as vehicle damage. With Travelapse's journey recording feature, you can condense hours of journey images into a few minutes of video. The device automatically captures the journey picture based on the speed of the car and creates a short video that is easy to share and watch. The GDR E560 has built-in Wi-Fi to sync videos from your device to the VIRB phone app and view, save and share videos from your phone. The GDR E560 includes a variety of driver assistance features to help you drive safer. 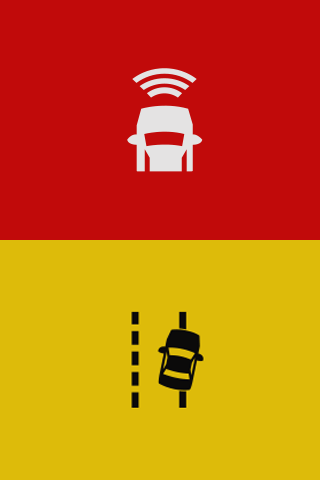 When you are too close to the vehicle in front, the device will issue a warning of the front vehicle distance to remind you to keep the distance. When your vehicle is pressed against the solid line or pressed against the dotted line for more than 5 seconds, the device will issue a lane departure warning. In addition, the GDR E560 includes a speed limit camera alert feature that keeps you away from tickets. 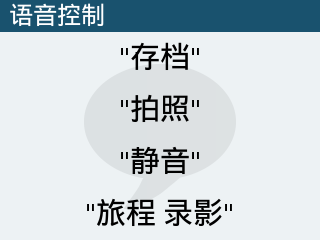 In addition, the built-in front vehicle movement reminder function, in the case of traffic jam or red light, the current vehicle has started to move, and when you are still in place, the device will give a reminder. Parking video can monitor and save images during parking. 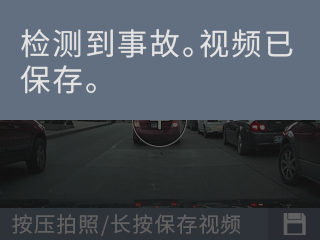 When the vehicle is shaken, the device will automatically save the image (you need to purchase a dedicated power cable for parking video). To avoid data loss or insufficient power supply, please use the Micro-USB power cord supplied with the factory.